The following information is offered as a starting point for an independent inventor in their quest for information on protecting an invention and, hopefully, profitting from that invention. Independent inventors are cautioned to seek competent counsel before acting on any of the information presented herein. As a patent attorney I often hear independent inventors ask "where do I go from here?" After coming up with a great idea, a solution to a problem, something that others would want to buy, the typical independent inventor is at a loss as to how to proceed. The inventor knows that the invention is valuable, but how to profit from the invention? After coming up with the Great Idea, a prudent inventor will often build a prototype to determine the feasibility of the invention. Family and friends will be consulted for affirmation that the invention is a good one. But what then? In order to profit from an invention, the invention must be converted into a product that others will buy. The road to profiting from an invention includes developing the invention, protecting the invention, and marketing the invention. Many inventors do not realize that the process of profiting from their invention is really a business venture. That is why there is a link to SCORE and Tennessee Small Business Development Centers on the IP Links page. A good resource for investigating how to profit from an invention is a research librarian at the local library. A research librarian can help an inventor locate grant money, special-interest financing and grants, and potential manufacturers, distributors, and purchasers of the invention, among other useful information. The downtown branch of the Knoxville Public Library has several research librarians available to help the public. The main branch of most library systems has at least one research librarian, or will know where one is located. Another resource is a local inventors association, such as the Tennessee Inventors Association (TIA). Before an invention can be marketed, it needs to be developed. But, there is no requirement that the invention be fully developed before filing a patent application. Nor is there a requirement that the inventor have a prototype before filing a patent application. In some cases it is advantageous to being the patenting process as soon as possible, even while still developing the invention. Invention development includes determining how the invention will be manufactured. The cost of manufacturing is a factor in determining the sales price of the product. If the product is not fully developed or manufactured well, there may be product liability concerns for consumers and users who are injured from the product. 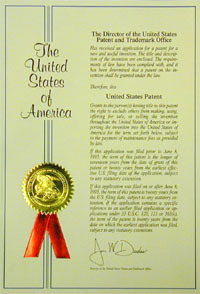 Inventions are typically protected through a patent. In order to obtain a United States patent, a patent application must be filed with the Patent and Trademark Office (PTO). Patents on products typically fall within two types of patents: utility patents and design patents. A utility patent protects the functional aspects of an invention, that is, how the invention works and functions. A design patent protects the aesthetic appearance of the product, that is, the visible features of the invention that are not functional. For more information on patents, please refer to the Patent FAQ or consult with a patent attorney. It is important to know the requirements for obtaining a patent. In particular, with the US first-to-file system, a patent application must be filed before the first public use and the first offer to sell a product embodying the invention. If there is a public disclosure by the inventor, there is a 12 month grace period before a patent application must be filed. But it is often wise to avoid any public disclosure before filing a patent application. Inventors seeking to minimize their initial investment at the expense of waiting longer to receive a patent on their invention should consider filing a provisional patent application. A provisional patent application requires only that the invention be fully and completely disclosed. It does not require a background section nor claims. Because the provisional patent application requires less than the non-provisional patent application, a patent attorney typically charges about one-half of the fees for preparing a non-provisional patent application. Also, the PTO charges a small entity a $130 filing fee for a provisional patent application compared to the minimum $730 filing fee for a non-provisional patent application. If a provisional patent application is filed, a non-provisional patent application must be filed within 12 months of the filing date of the provisional patent application in order to obtain the benefit of the provisional patent application priority date. Marketing an invention runs the gamut from the inventor building the product and selling it directly to selling the invention, as embodied in a patent, to someone else who will manufacture and sell the product. For the inventor willing to do it all, the rewards can be great, not only financially, but in the personal satisfaction for achieving something, in leaving a legacy. But doing it all is a lot of work. The inventor needs to develop or hire manufacturing facilities, develop a marketing and distribution pipeline, and obtain financing to make it all happen. For the inventor wanting to sell the invention and reap a stream of royalties, the road taken is slightly different. The invention should still be developed and protected. In fact, in many cases protecting the invention is a requirement. The inventor needs to market the invention to companies willing to purchase the invention in order to have the right to manufacture and market products based on the invention. An idea by itself does not have a market value. A commercial buyer of an invention wants to purchase the right to manufacture and market the invention. That right is typically embodied in a patent, which gives the owner the right to exclude other from making, using, selling, offering to sell, or importing the claimed invention. With a patent, there is no question as to what the inventor is selling the commercial buyer is buying. Many large companies will not even talk with an independent inventor about their invention unless the inventor has either a patent application or an issued patent on the invention. Every inventor needs to know that if the inventor makes a public disclosure, a patent application must be filed within 12 months or the invention cannot be protected by a patent in the United States. A patent application must be filed before there is any public use or any offer to sell a product embodying the invention. In many countries outside the United States, patent protection is only available if a patent application is filed before a public disclosure or an offer to sell the invention. A public disclosure includes telling someone details about the invention without a confidential agreement. Profiting from an invention involves more than getting a patent. The invention must be developed and marketed. Good Luck!